Filmfare Awards 2019 are back and we're OD'ing on all the sartorial inspiration! From ruffles and jewels to satins and silks, we've seen the best! For her appearance at the red carpet, Athiya Shetty arrived in her fashionable best and we cannot take our eyes off! 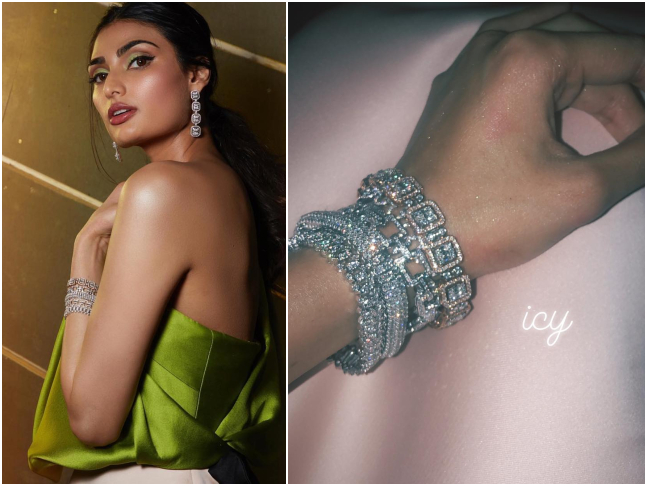 Recommended Read: Athiya Shetty, Mrunal Thakur and Radhika Madan make Filmfare Awards 2019 a glamorous affair! Styled by Ami Patel, Athiya stunned in a Bibhu Mohapatra number and we're drooling at the sight of her. The actress kept it classy with dainty danglers, an ethereal bracelet, spring-green eyes and a rosy glow.